If you require an airport pick-up, off-road vehicle for two weeks or a bus for a conference, we will ensure your comfort with a well-serviced, air-conditioned vehicle and a multilingual safe and highly competent driver. Rest assured that when booking with Ashanti African Tours, you are booking with a professional, legitimate company operating with all the necessary insurance policies, licenses and registrations. Our Ghana Tourism Authority operating license number is T-04/CR/16; our company has public liability and professional indemnity insurance with a policy cover of $1,000,000.00 per claim; all our vehicles are comprehensively insured and all our drivers are highly experienced, in addition our guides are registered and certificated to guide tourists. All of the above are legal requirements to accept international and domestic tourists here in Ghana. When travelling to Ghana it is important to book with a local tour company that has the legally-required insurance policies and operating licences, as your international travel insurance will be invalid if they haven’t. Ghana is an emerging economy and the resources are not available to check and identify the many bogus travel and rental companies which have developed websites and operate illegally here. The cheapest option is not always the best option, as there are reasons for companies offering cheaper packages and these are usually due to them not operating within the laws of the land. 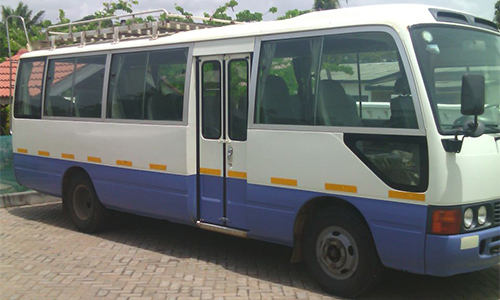 It is estimated that over half of local tour operators here in Ghana do not have professional indemnity and public liability insurance; use vehicles that are not comprehensively insured and do not have a Ghana Tourism Authority operating license and as they are not registered, do not pay taxes, which ultimately has a negative effect on Ghana’s development.